The Court of Appeal for the Second District of Florida ruled Friday that the arson and defrauding an insurer convictions for a Cape Coral man should be overturned. 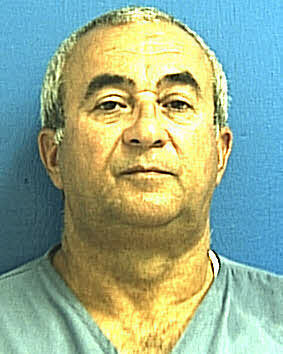 Jesus Perez was convicted in Lee County after a fire burned his house down. The case was circumstantial: while there was no doubt a fire occurred, there was no direct evidence that Perez started the fire. The Second District simply found that the evidence simply did not show that he started the fire, much less that he did so intentionally. While one of the samples taken by investigators showed the possibility of gasoline, the control sample also showed the same, which indicates that both were contaminated. How did Mr. Perez end up being convicted, and sentenced to prison, on such thin evidence. The reality of the system is that while defendants are supposed to be innocent until proven guilty, the assumption often works against them. Perez had no way to prove how the fire started. Juries often want to give the state and its investigators the benefit of the doubt. As a society, we want to have faith in the those who are supposed to protect and serve. Unfortunately, that often means the presumption of innocence is more of a nice idea, than a reality. Fortunately for Mr. Perez, the appellate system granted relief in the end. The State can ask for a rehearing, or appeal the case to the Florida Supreme Court, but barring a major change, the conviction will be reversed. Mr. Perez has already served nearly two years in prison, but is will get him out earlier, and he will not have to serve the 10 years of probation that had been ordered to follow his incarceration. That’s a big win for my friends at Brown, Suarez & Rios, who handled the appeal.